/*+ dynamic_sampling (customer 4) */或者在session/system中将optimizer_dynamic_sampling设置为4进行测试. 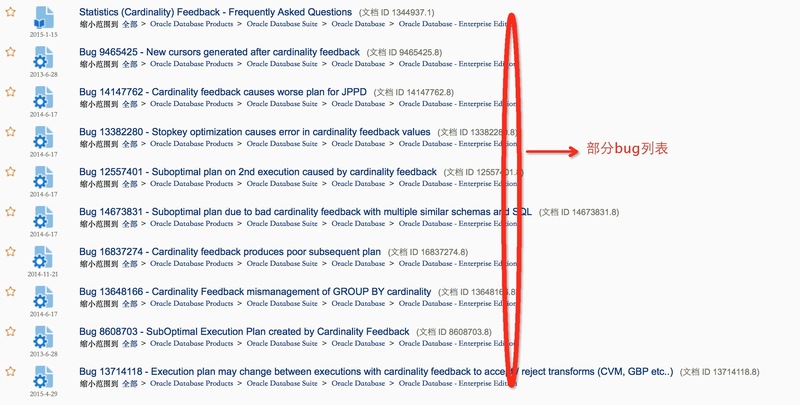 When a cursor is found to be a candidate for Statistics Feedback it will be hard parsed again using the new estimates. The child cursor will be marked as not being shareable and USE_FEEDBACK_STATS set to ‘Y’ in V$SQL_SHARED_CURSOR. Note: As the need for Statistics Feedback was only detected while execution of this cursor, Statistics Feedback will not actually be used for this child. However it will be used for all further child cursors created. At the next execution, as a result of the cursor being marked as not shareable, a hard parse will again be performed and a new child created with the optimizer having used the new estimates for creating an optimizer plan.